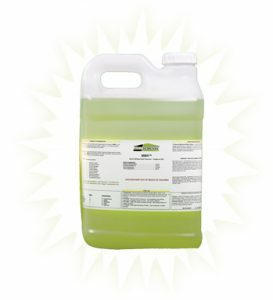 FastMoldRemoval.com is pleased to announce that it now stocks and distributes the ever popular Fiberlock Shockwave Disinfectant Cleaner. We now make it available in one gallon, concentrate bottles - in addition to their 10 ounce version. Unlike other vendors, we are happy to break a case and sell individual bottles to our customers. ShockWave is an EPA-registered disinfectant, sanitizer and cleaner designed specifically for mold remediation contractors. ShockWave is designed to meet all your disinfecting, sanitizing, cleaning, and deodorizing needs. 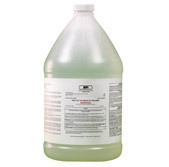 ShockWave is strong enough to be used as a hospital grade disinfectant, and has been specifically formulated to be used on both porous and nonporous materials. 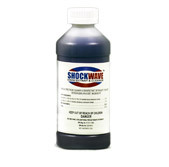 ShockWave is a powerful concentrated quaternary ammonium chloride blend that yields up to 64 gallons of usable product from every gallon of concentrate. ShockWave has been tested to kill 80+ organisms including Aspergillus niger, Penecillium spinulosum, E. coli, Salmonella, HIV, Hepatitis-B, Herpes, Poliovirus, and many other pathogenic and environmental microbial organisms. Shockwave is ideally suited for remedial projects such as attic mold removal and crawl space mold removal that incorporate MMR mold stain remover into the process.